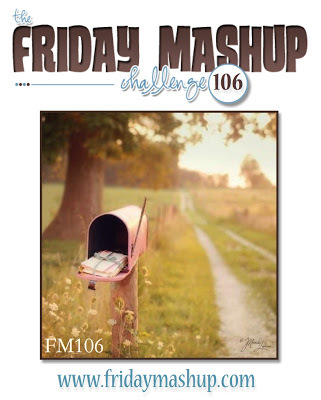 This week at The Friday Mashup Tara has a color challenge for us.....she wants us to use Sahara Sand, Perfect Plum and Wisteria Wonder. I won't lie...I hate the color purple, any shade of it, so as soon as I saw 2 of the 3 colors we were to use I cringed and had no clue how I was going to pull all of this together. Well, when in doubt keep it simple and that's what I did here! I spritzed some Sahara Sand on a piece of Sahara Sand cardstock that I had embossed and then I pulled out the Oh, Hello set from the spring mini. I stamped the oval in Wisteria Wonder and popped it up with dimensionals over a banner of Perfect Plum DSP that I put down. I stamped the sentiment in Perfect Plum and that is also popped up with dimensionals(even though you cant tell in the pics, the extra dimension looks really nice). My daughter insisted the card needed some bling so I added the 3 rhinestones at the bottom to finish things off. 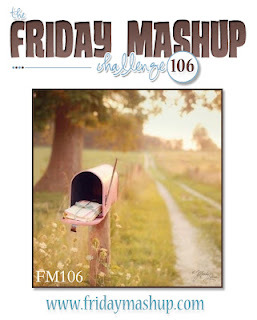 Make sure you head over to The Friday Mashup to see what the rest of the design team came up with! Very cute... I need to pull out this stamp set again. Perfect! Love how you used these colors! Your friend is sure to love it! Glad this set is sticking around. You made a simple Wow design here. Love it! Such a wonderful card Lisa! I love the layout and how you combined the colors. I had to smile when you talked about hating purple - my sister hates it with a passion and I love it lol! Well done for going out of your comfort zone - I'm sure your friend will love this card. Lol, Lisa, I'm sorry! I feel like I'm always the one inflicting purple on you. Not for awhile, I promise! You sure made a lovely card though! !